Very often we are asked to “check out” a “suspicious vehicle” cruising around the area. Here is a useful bit of advice if anyone wants to check whether the car is in fact an Uber registered car or not. Quite often we have suspicious vehicles reported as hovering around, cruising slowly in or parked in an area who profess, on questioning, to be Uber drivers. Download the free Uber app. 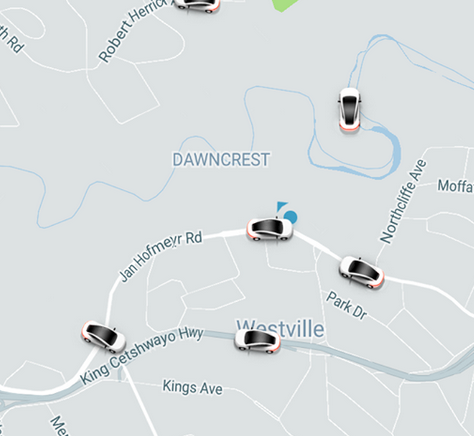 (Play store etc) When you open it you get a live map of all the Uber vehicles in your close vicinity. If your suspicious vehicle doesn’t appear on the map they may need further questioning by a Law Enforcement official. Please remember all questioning and searches must be conducted within the prescripts of the Criminal Procedure Act and must be commensurate with human dignity and respect for personal integrity and property.